The art is about an encounter. During her firts years of exploration in the arts, Claire-Guyard Aschehoug has made many engravings. This print in black and white is part of a series on paper that allowed the apprentice artist to support her year-end review of the Arts School of Rueil-Malmaison (France). 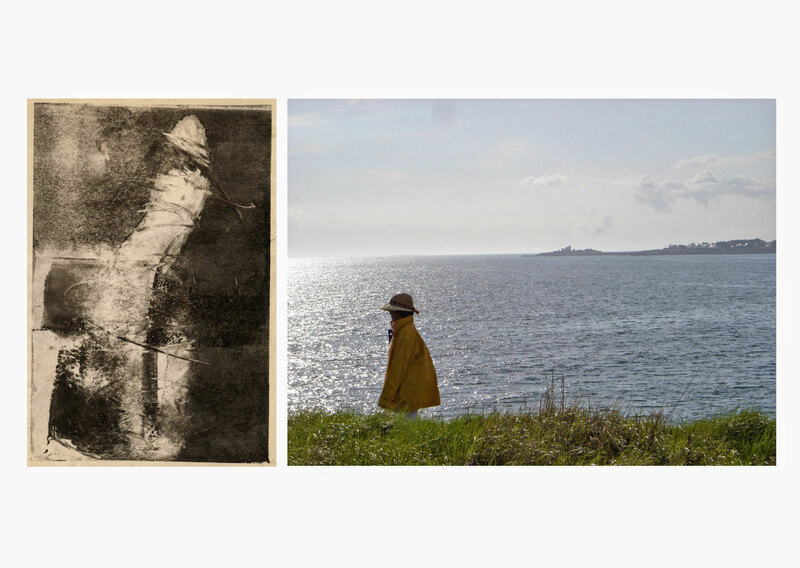 Three years later, Claire-Guyard Aschehoug while on vacation, shoots the girl with a rain hat. The diptych has emerged through the chance. The unexpected situation drives her in the creation that she managed to carry out through this unique piece. Diptych composed of a monotype and a photograph. Unique piece.